Each round totals 21 reps (push-ups descending from 20, sit-ups ascending from 1) for a total of 420 reps in the workout. 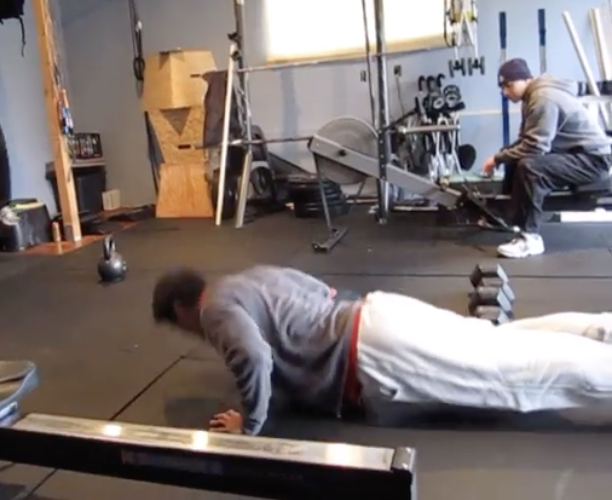 Add a video for "Blackjack"
The "Blackjack" benchmark WOD (aka: "Twenty-One"), named for the card game, can be done with any two movements, but Push-Ups and Pull-Ups are the most common. We're not able to determine the original source of this workout (if you know, tell us). The oldest mention we've found is from Mad Dawg Fitness (Redwood City, CA, USA), who posted "Blackjack" as their workout of the day for December 14, 2007.